Tesla’s super charger and destination charging networks now includes Glencoe House for your travels through the Highlands of Scotland. 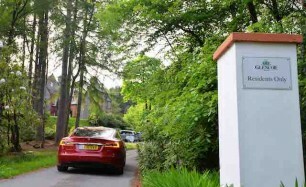 Two Tesla connectors up to 22 kW are available for residents only, please call ahead. Based in within a few miles of Glencoe House is ABS Executive, which provides professional travel to meet the needs of all our guests including airport transfers. They also offer private personalised tours of the Highlands of Scotland including themed trips if guests are interested in castles or whether the whisky trail is to your taste. 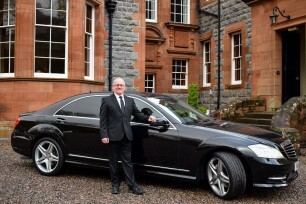 Glencoe House also works closely with fellow Luxury Scotland member, Littles, which is a luxury chauffeur company who offer a seamless relaxed journey from airport to hotel. Littles also work hand-in-with clients to create a bespoke tour so you can see the very best that Scotland has to offer. 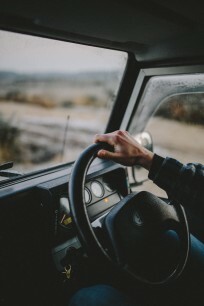 If hiring a 4×4 vehicle is in your thoughts, whether it is because you want to go explore some remote areas or it is your luggage then you may consider 4×4 Hire (Scotland) Ltd. The company’s vehicles include different ranges of Range Rovers and Landrovers. With offices near both Glasgow and Edinburgh airports, vehicle hire is easy to arrange. The company will also collect and deliver vehicles from locations throughout Scotland. For private aircraft or helicopter, Oban Airport is situated just off the A828 by the village of North Connel, a 40 minute drive from Glencoe House. If you would like to charter you own helicopter for a memorable trip, you may consider the expertise of the companies below. PDG Aviation Services. The company has a strong reputation for professionalism, discretion and safety. 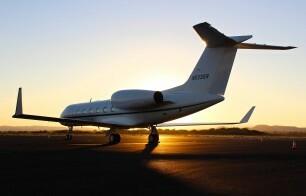 Alternatively, Jet Logic, based out of Edinburgh, operate world-wide and a bespoke luxury jet and helicopter service so your every wish is catered for. 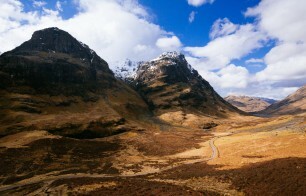 Sit back and enjoy the spectacular scenery by train, services to Fort William can be found via National Rail Enquiries. The Caledonian Sleeper is also an option and offers and overnight service from London Euston direct to Fort William. Our staff is happy to help with any questions regarding your arrival.